In a world filled with pain, confusion, fear, and hopelessness, do you wish you could be a catalyst for change? Do you long to see God’s Kingdom released on earth in an increasing, tangible way? Join us at this 3-day conference where we will discover what a culture of heaven looks like on earth, and how you can be part of releasing it! Be refreshed through dynamic worship in the presence of God; be renewed through anointed Kingdom-teaching; be inspired by accounts of God’s supernatural activity; and be connected to others who are also seeking revival and awakening in Canada. We are anticipating God to move us, fill us, anoint us, and send us out to take His Kingdom back to our families, workplaces, communities—and the world. Come, learn about heaven’s way of doing things and embrace it for yourself! Lead Pastor, Kingdom City Sandy (Alexander) Isfeld has a life-mission to see a continuous, increasing movement of renewal and revival that never ends. He is passionate about the developing and releasing of men and women to fulfill their Kingdom dreams and destinies, so that the glory of God will be revealed in this world. Over the years, Sandy has been invited to speak on renewal, healing, and the work of the Spirit at various conferences and events. He completed his Bachelor of Theology and Master of Theology at Canadian Bible College/Ambrose University. He graduated with his Doctor of Ministry from Fuller Theological Seminary in Los Angeles (2016) with his dissertation on the Spirit’s anointing of leaders for Kingdom advance. Sandy serves as Lead Pastor here at Kingdom City (formerly Airdrie Alliance Church), a growing regional congregation in Airdrie, Alberta, where he has been for 28 years. A few of Sandy’s other interests include: art, urban culture, literature, traveling, music, and sports. He and his wife, Marianne, are passionately committed to raising up the millennial generation as agents of cultural awakening and renewal. Together, they have three Kingdom-minded adult children, Brandon (married to Alora), Ryan, and Carly. Professor of Pastoral Theology, Alliance Theological Seminary A gifted preacher and communicator, Rev. Dr. Rob Reimer is a sought-after speaker for conferences, leadership retreats, mission fields, churches, and seminaries around the world. Many of Rob’s examples and stories come from lessons learned as he walked with God and processed pain in marriage and ministry, finding freedom and fullness in Christ. Rob is also an accomplished author. His books, Soul Care, River Dwellers, Deep Faith, and Pathways to the King, have been sold worldwide. Rob is Professor of Pastoral Theology at Alliance Theological Seminary in Nyack, New York and the founding pastor of South Shore Community Church in Massachusetts. Rob and his wife, Jen, live in the Nyack area with their four children, Danielle, Courtney, Darcy, and Craig. For more information, visit renewalinternational.org. Associate Pastor, Beaverlodge Alliance Church Michelle Dwyer is passionate about igniting fires of hope, releasing the Kingdom of God, and equipping others to live fully free. She regularly speaks at workshops, conferences, and retreats, fuelled by her desire for everyone to encounter the dynamic, loving presence of God who restored her own life. Michelle serves as an Associate Pastor at Beaverlodge Alliance Church, occasionally blogs, and recently started a podcast in November 2018. Always on the lookout for adventure with her husband, Michelle and Brian live with their three, almost-grownup kids, Heather, Kaleigh and Devin, in Beaverlodge, AB. For more information, visit WildObedience.com (blog) or check out Further Up and Further In (podcast) available on most platforms. Pastor of Community, Kingdom City Nick Kadun’s passion is to see the Church reach her full potential as a culture-shaping community that is in continuous revival; a community where people are saved and set free daily. Prior to his start in pastoral ministry, Nick travelled Canada as a motivational speaker with an organization now known as Live Different—speaking to thousands of students on the topics of identity, self-worth, substance abuse, and social justice. Nick is the Pastor of Community here at Kingdom City, where he has served since 2009. Scheduled to complete his Bachelor of Theology from Ambrose University, (Calgary, Alberta) in April 2019, he loves theology, music, culture, and creating environments for people to authentically encounter God’s presence. Nick is husband to Katie, and father to three incredible kids named Maverick, Avelyn, and Iverson. In his spare time, he loves playing LEGO with his kids in their home in Airdrie, Alberta. Pastor of Kingdom Life, Kingdom City Nathan Kliewer desires to see people walk in their true identity and authority in Christ. His passion is to raise up and equip a generation of people who cultivate intimacy with the Father, hear God’s voice clearly, and learn to think through the lens of “Heaven on earth.” He regularly ministers to others through deliverance, healing, and the prophetic. Nathan has spoken and facilitated leadership and training workshops in both church and marketplace settings across Western Canada. Currently serving as Pastor of Kingdom Life here at Kingdom City, Nathan has a Bachelor of Arts in Christian Studies and a Certificate in Leadership. Nathan is a fisherman and loves motorcycles and dark roast coffee. He and his family previously lived internationally in Latin America where they were involved in planting a church and ministering to the Mexican people. He and his wife, Sandra, now live in Airdrie, Alberta with their three Kingdom-princesses—Isabella, Carmela, and Julia—and a beagle named Lola. Pastor of Worship, Kingdom City Joel Friesen has been serving in worship ministry for over twelve years. 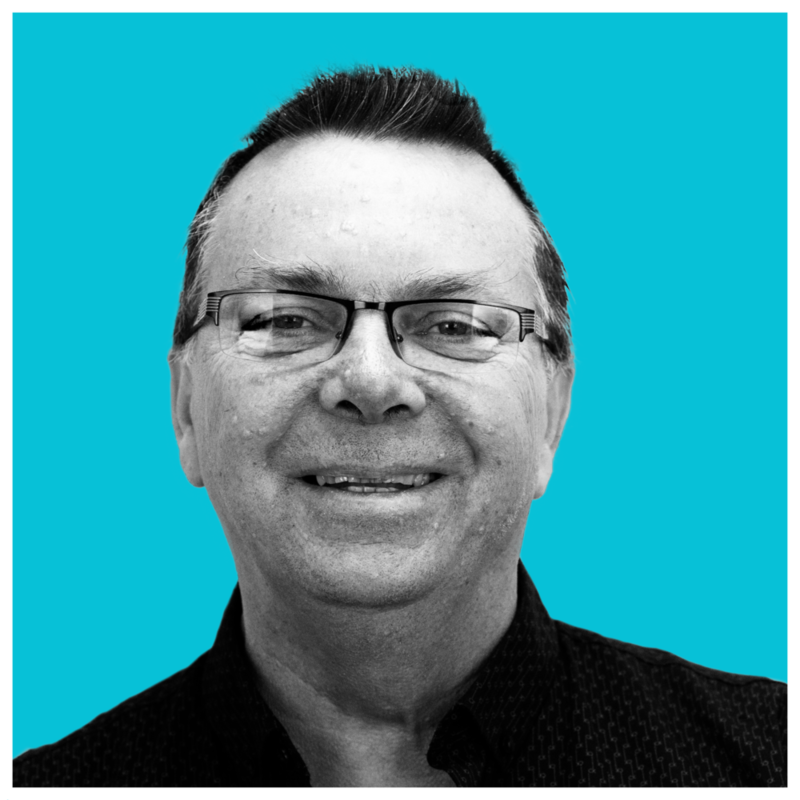 He has led worship at a wide variety of churches, conferences, and community events across western Canada and has a mantle for training and releasing worship leaders. Joel is passionate about developing skillful, Spirit-anointed teams that usher people into the presence of Jesus. He loves to see others enter into worship with their whole being—spirit, soul, and body. Joel currently serves as the Pastor of Worship here at Kingdom City in Airdrie, Alberta. He and his wife, Alison, recently welcomed their first child—a beautiful daughter, Rosalie—into their lives earlier this year. Worship Leader, Kingdom City Dionne Renaud is not only one of our key worship leaders, but she is also embracing the role of Worship Intern here at Kingdom City, while she is taking a Bachelor of Theology in Church Ministry at Ambrose University in Calgary, Alberta. With her parents also being worship leaders, Dionne grew up in a musical family. She was taught to sing and play the piano from a young age. Dionne has always loved the way that music can communicate an idea or feeling in a way that spoken words alone cannot. 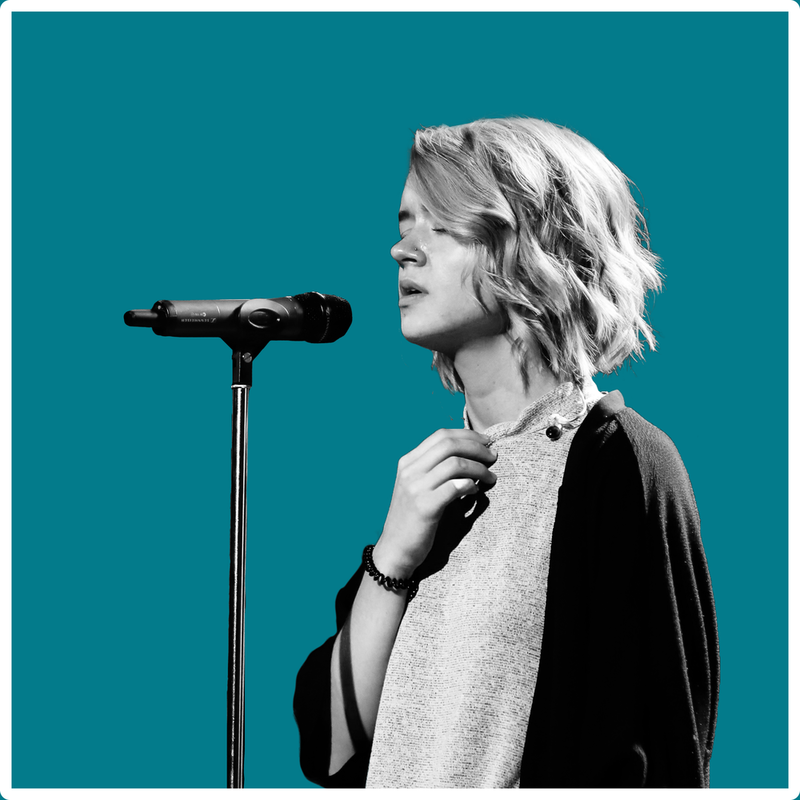 As a worship leader, she guides people into an authentic, intimate worship experience. She longs for others to be met with and transformed by the ever-present presence of Jesus. Dionne and her husband, Logan, enjoy cooking together in their new-to-them home in Airdrie, Alberta. Please be advised that schedule and sessions are subject to change. Learn more about the Breakout Session topics and speakers. Hungry? Airdrie has lots to offer when it comes to fast food and restaurants.